About Me: Brian earned a B.A. in Psychology at Temple University, Philadelphia, and an M.A. in Student Affairs in Higher Education at Indiana University of Pennsylvania, Indiana, PA. Following graduation, he worked for nearly two years as a graduate assistant in the Career Opportunity Center and MBA admissions office of the Tepper School of Business at Carnegie Mellon University. He joined the University of Massachusetts in 1999 as the Assistant Director for Field Experience with the university’s Campus Career Network. In 2000, he joined the College of Engineering, where he served as Director of Recruitment and Transfer Affairs, advising thousands of students on academic issues, degree requirements, course scheduling and the like; coordinating summer orientation programs; monitoring student performance and handling disciplinary issues; and educating faculty concerning retention, advising, curriculum, and other student issues. In 2006, Brian became Director of the college’s newly created Career and Student Development Center, which served more than 1,200 undergraduate and 400 graduate engineering students. Brian joined the University of Connecticut, School of Engineering as the Director of Advising in August 2007. 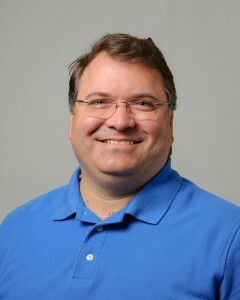 In Brian’s tenure in this position, he created the Eurotech and Engineering House Living Learning Communities in 2008 and 2011, respectively. He became the Co-Director of the Eurotech Program in 2012 and has developed two new International Engineering Programs in 2014 and 2016, respectively: Engineering Spanish Program (ESP) and the new AsiaTech program in Shanghai, China to launch in fall 2017. Since 2008, he has also been instrumental in the development of the Engineering Career Fairs. In 2013, Brian secured approval to start hiring the professional Advising Team that is currently in place today. Through Brian’s leadership he has developed a legacy of exceptional academic advisors. In February 2017, he assumed the role of Director of Experiential Engineering Education Initiatives. In addition to continuing to lead and oversee the School of Engineering’s Living Learning Communities as well as our expanding International Engineering Education efforts, Brian is working closely with our partners in the Center for Career Development to create a robust and successful engineering co-op program.